Improve Your Bottom Line with website re-design service from WebTecMart!!! Improve Your Bottom Line with website re-design service from WebTecMart!!!! Is your sales funnel shrinking due to an old and outdated web design? It's time to make your user experience fresh and engaging with intuitive website design that leaves a strong imprint in your visitor's mind. Remember, you get 10 seconds to make an impression on your visitor, and every second counts! We at WebTecMart can help you refine targets relevant to your market and industry with premium design solutions. Do not hurt any further your bottom line and boost conversion rates with WebTecMart web redesign team! You may have a brilliant website, but it may not be at par with the latest industry and market trends, leading to loss of business to your competitors. Your website has 7 seconds to make or break your image on the Web. For B2B or B2C investors, a heavy and slow responding website is a bummer. Outdated design and functionality of your website tapers traffic to your site, leading to a significant loss of visibility online that eventually hurts the bottom-line. To resolve the design challenges, we at WebTecMart offer reliable, feature-rich and affordable web redesign services to overhaul and improve your site's performance. 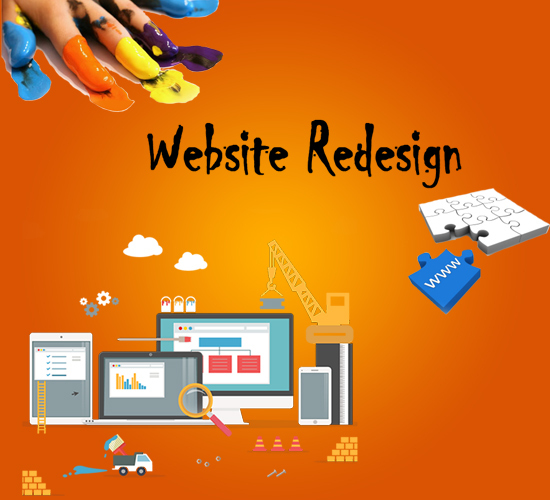 Why you need website re-design? Our professionals restore your website that easily convinces your viewers to stay on it for a long time and take the preferred action. We emphasize on using superior quality visual design to build trust and convert your visitors into potential clients. We reorganize your webpages and content to match perfectly with your business goals by creating a clear navigation of your brand message. Our web redesign experts build dynamic websites with simple Content Management System (CMS) that enables you to edit the website contents on your own. Our brand strategists build user-friendly and attractive website that clearly defines and strengthens your brand and support your business. Our professionals first deeply understand your design requirements and technology updates to create true value of your brand image amongst your audience. Unique, responsive, and engaging web re-design services to make your business beat the market competition online.